Before she passed away in 2007, Dr. Carolyn Goodman collaborated with Brad Herzog to recount a life of courage and conviction, love and loss, tragedy and triumph. A half century after the "Mississippi Burning" murders, this is the first time that a victim’s family member has expounded about the experience and the emotions—from guilt to resolve—that it spawned. 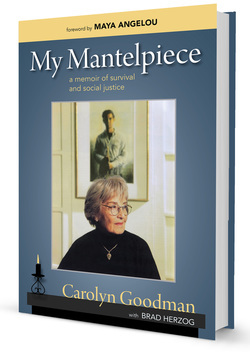 More than simply a memoir, My Mantelpiece is the story of a century’s seminal progressive movement seen through the lens of a remarkable woman’s singular journey.